I think this must be the first time I've properly committed to doing any kind of series on my blog, stupidly proud I must admit. 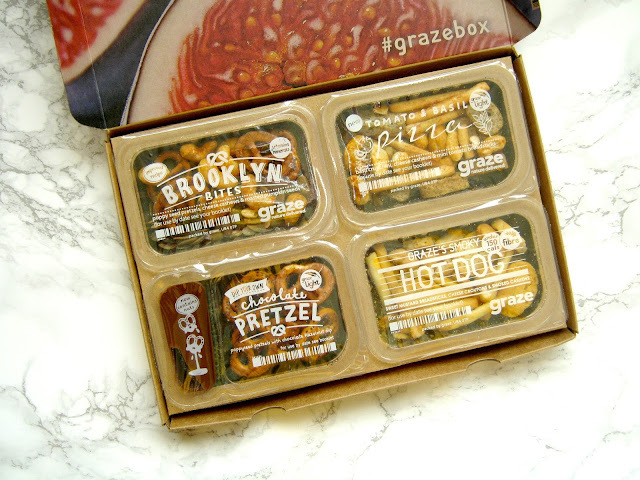 I think it's probably because Graze is a brand I really do love and also I just like eating lots of yummy snacks! This time round I think initially I was a tad disappointed with some of snacks in the box but I'd judged them before I even got a chance to try them. 3 of the snacks were very similar which I think is what made me a little disappointed because I enjoy getting a wide range of snacks in my boxes every month. I tried not to let this get in the way when trying them all though, time to see what I thought of them! 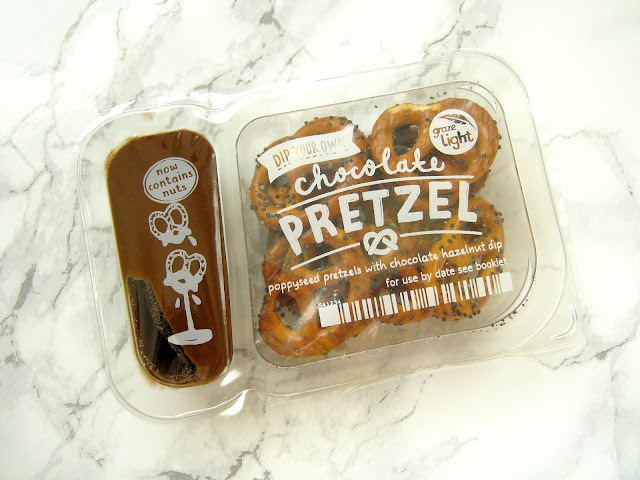 This is one of the snacks that I've been wanting to try for a little while now but it's taken some time for it to pop up in one of my boxes! 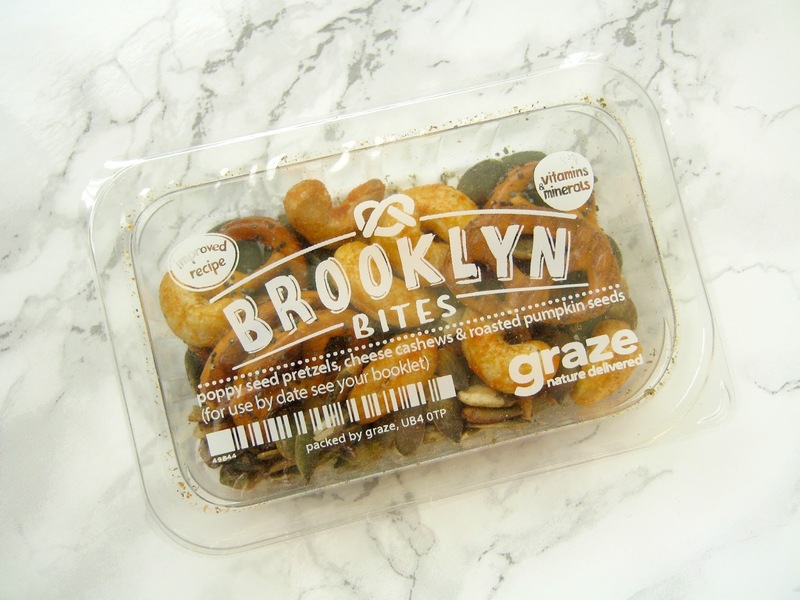 It contains a mix of roasted pumpkin seeds, cheese flavoured cashews and poppyseed pretzels. I'm not a huge fan of seeds in general so I didn't eat many of them but I did really enjoy the cashews and pretzels! I've never had flavoured cashews before so it was nice to try something new and I think I'll definitely look into eating cashews more in the future. The pretzels are what I really loved though as you'll find out when I talk about one of the other snacks which came in this box! I know for sure that I've had this snack before and I reckon it was one that didn't exactly blow my mind as I wasn't jumping for joy when I saw it inside my box. It again featured cheese cashews like the previous snack which whilst I like them I do prefer more variety! 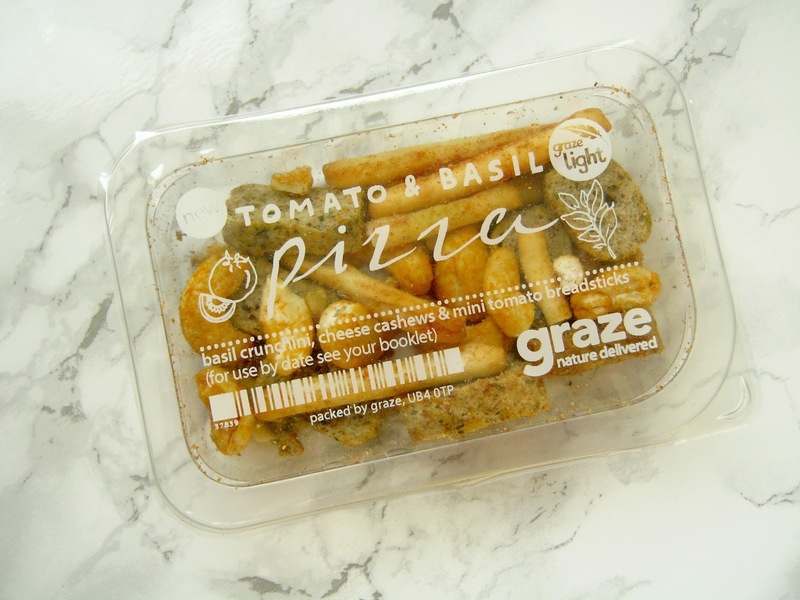 It was a nice snack but nothing too exciting and it will stay as 'like' on my graze profile I think for now. Now this is the kind of snack that I like to see in my boxes! The dipper snacks are some of my favourites and this one is no exception, as I said before I really like the graze pretzels and pairing them up with a chocolate hazelnut dip just seems perfect to me. 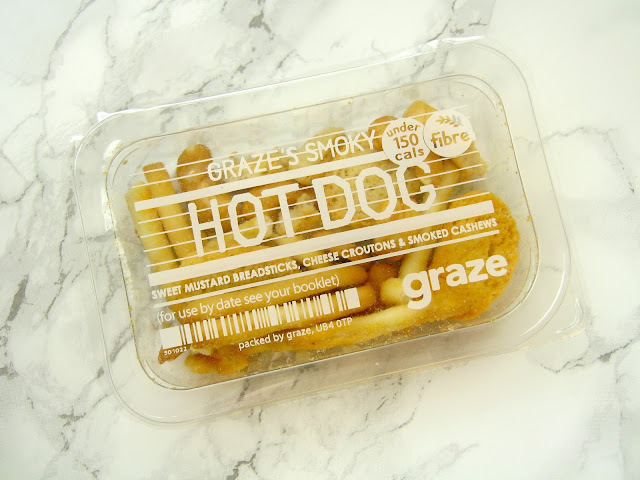 If you subscribe to graze I'd really recommend selecting this as 'send soon' if you haven't tried it already as it really is the perfect afternoon snack pick me up. Due to the very plain colouring of all the snacks in this one I really didn't think I'd like it but I did surprise myself by enjoying some elements. I was disappointed to see that I'd yet again got something with more cashews in, as lovely as they are, but hopefully next time I'll have a better mixed box. 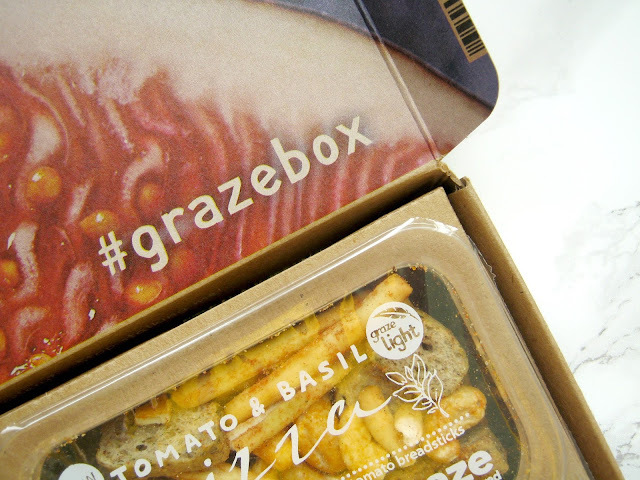 I really enjoyed the sweet mustard breadsticks in this though and wish I could just buy a box of them! The cheese croutons were also really nice and would go well with a salad I think. I'm a graze ambassador which means every now and then the lovely team send me some snacks to try out, however I'm always truthful and graze is a brand that I have truly loved for years!